Breathing in: Justice Here . . . Breathing out: Justice Now. Justice is not an ideal state or theory but a matter of personal sensibility, a set of emotions that engage us with the world and make us care. Lutheran theologian Dorothee Soelle explores the link in her life between faith and politics. 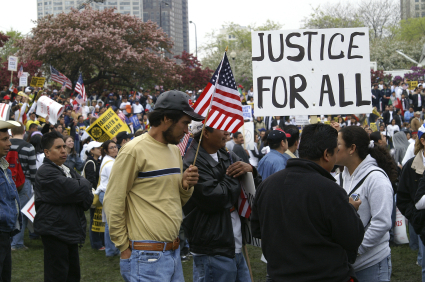 She shares a story about how tears can help us persevere in the struggle for justice. Like every human being who hungers and thirsts for justice and peace, Dorothy Day had periods of complete exhaustion, sorrow, and pain. I was told that she would then withdraw and cry — for hours and days. She would sit there, talk to no one, eat nothing, and just cry. She did not withdraw from her struggle-filled, active life for the poorest of the poor. She never ceased to look upon war, and preparation for war, as a crime against the poor. But at certain times she wept, long and bitterly. When I discovered this, I understood better what pacifism is, what God means in the midst of defeat, how the spirit comforts us and leads us into truth. I understood that comfort is not had by giving up truth, that one does not happen at the expense of the other. That Dorothy Day cried for days on end means for me that the Spirit’s consolation bears, at the same time, its own inconsolability. With Dorothy Day, we can learn to pray for the gift of tears. Questions: Identify an injustice that troubles you. What emotion first made you aware of it? Then talk about one action you can take to combat it. We must not, in trying to think about how we can make a difference, ignore the small daily differences we can make, which, over time, add up to big differences we cannot foresee. To Practice This Thought: As you go through each day, look for those opportunities where small differences can help create in a more just world. Group Session Plan based on resources on Justice from www.spiritualityandpractice.com. For a PDF version of this small group ministry session, click here: Justice. Put these two concepts together, and you have the recipe for a top-notch lifelong faith formation network that congregations of almost any size can develop. Actually, it’s not a matter of can, it’s a matter of must. 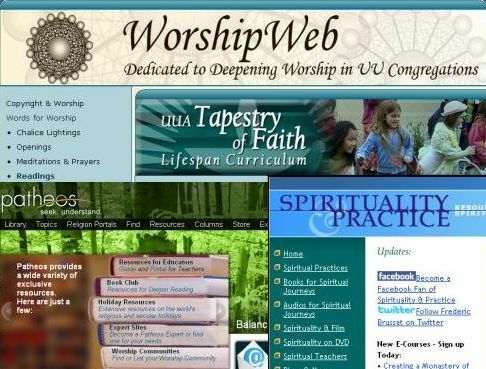 I honestly believe that only the congregations that have established a vital web presence in regards to faith formation are going to survive the next ten years or so. And I know of no better introduction on how we can go about doing this than John Roberto’s article. So do yourself a favor and take a look at it: Becoming a Faith Formation Curator. Here are a few of my favorite quotes from the article. In this world of content abundance it becomes possible for a congregation to provide faith formation for everyone, anytime, anywhere, 24x7x365. The role of the leader in faith formation is shifting from providing religious content and programming to curating religious content and experiences for all ages. A content curator is someone who continually finds, groups, organizes, and shares the best and most relevant content on a specific subject to match the needs of a specific audience. Faith formation is no longer about offering “one size fits all” curriculum or programming for a whole age group or generation—assuming that everyone is at the same point in their spiritual and religious growth. Churches can now meet people at the point of their spiritual, religious, and learning needs and offer personalized opportunities for faith growth. There’s a quote from the SpiritualityandPractice.com webpage on Joy that I wanted to use for this small group ministry session, but it didn’t quite fit. So I’m going to put it up front here, sort of as an appetizer: “Finding joy is the hardest of all spiritual tasks. If the only way to make yourself happy is by doing something silly, do it. ” That’s according to Rebbe Nachman of Breslov in The Empty Chair. I’m going to hang onto this quote for when I do a small group ministry session on Silliness. In the meantime, Joy. Joy is an intermezzo of gratitude. Joy is an intermezzo of gratitude that interrupts the routine motion of life. Zen teacher Geri Larkin ponders the riches of the Metta Sutra attributed to the Buddha. In one dharma talk, she ponders the importance of friendliness and laughter. 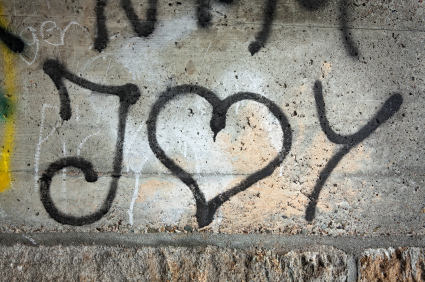 Questions: What can be done to create a greater atmosphere of joy in your home and community? What will be your legacy of joy to the next generations? that is the secret of happiness. To Practice This Thought: Knowing how much pleasure there is in making others happy, vow to practice joy. Group Session Plan based on resources on Joy from www.spiritualityandpractice.com. For a PDF version of this small group ministry session, click here: Joy. I was at Unity Church-Unitarian in Saint Paul yesterday, at a Unitarian Universalist Ministers Association cluster meeting, and I was thrilled that the Rev. Karen Herring gave us a taste of her Open Page Guided Writing Sessions. These sessions are part of Karen’s literary ministry at Unity, and I have to say I was really impressed by the process (high praise coming from someone who has not one, but two Master’s Degrees in Poetry and Creative Writing). What was most impressive was the potential for this guided writing process to free the imagination and open the heart. While this week’s small group ministry session may not yield the same written results for participants, it’s designed to help folks reflect on the importance of Imagination in their lives. As always, the resources for this session come from SpiritualityandPractice.com. The way we make our world depends on the vitality of our imagination. In this well-titled book, Donald McCullough discusses a wide repertoire of practices that can serve as an antidote to the incivility of our times. In the following illustration, he reveals the dynamics of imagination as a lever of compassion. One day Gandhi stepped aboard a train as it started to move, and one of his shoes slipped off and dropped on the tracks. Unable to retrieve it, he calmly took off his other shoe and threw it back along the track to land close to the first. When an amazed passenger asked why he had done that, Gandhi smiled and said, “The poor man who finds the shoe lying on the track will now have a pair he can use.” With the eyes of his imagination, Gandhi saw a man with bare feet, saw him coming across a lone shoe and desperately searching for the other, and saw the disappointment on his face when he didn’t find it; seeing these things, Gandhi did what he could to help. Questions: Generations of people have grown up in environments hostile to the imagination. Share your personal experience, covering the role of imagination in your childhood, at home, in school, or in a religious community. 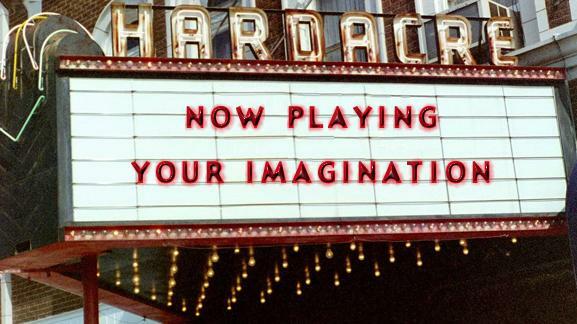 What do you think can be done today to advance the cause of the imagination? To Practice This Thought: Always be on the lookout for ways to imaginatively practice compassion and kindness. Group Session Plan based on resources on Imagination from www.spiritualityandpractice.com. For a PDF version of this small group ministry session, click here: Imagination. Looks like I won't be doing the D.Min. program @LutherSeminary. Something to do with #Unitarian beliefs in a #Trinitarian school…. So that’s what I tweeted yesterday after receiving a letter from Luther Seminary saying that they “regret that [they] will not be able to offer [me] admission into the [Doctor of Ministry Program in Congregational Mission and Leadership] in 2011.” The reason? Because I’m a Unitarian. We were certainly impressed with the quality of your background and the importance of your work and ministry. However, the essential theological underpinnings and commitments of the program are deeply Trinitarian in nature. Therefore, the consensus of the committee was that we would not be able to serve you well with the program given your Unitarian commitment. Okay, two things. One, as anyone who’s studied for the Unitarian Universalist ministry at a Christian seminary knows, Trinitarian theological “underpinnings and commitments” do not keep motivated UU students from being served by a particular program. If that were the case, it would be impossible for UU ministerial students to go to practically any Christian seminary. And two, the test of any program that claims to train people to have an impact on congregational systems is, I believe, whether or not the content of that program would be applicable to congregations of any tradition: Christian, Jewish, and, yes, even Unitarian Universalist. Think of the Alban Institute here. The bottom line is this: if this program is really about helping congregations become more missional in what they do, and if that mission is to help fulfill what Jesus sought to bring about (the Kingdom of God, i.e., the Beloved Community) here on Earth, then whether or not one is a Unitarian Universalist shouldn’t matter. I doubt it would’ve mattered much to Jesus. If fact, I’m sure it wouldn’t have. By the way, this isn’t the first time I’ve been turned down by a Lutheran seminary. It happened in 1998, too. I was all set to live in the shared student housing at the Lutheran School of Theology in Chicago when I moved to Hyde Park to start the M.Div. program at Meadville Lombard. Once I got to Chicago, however, I was summoned to the housing office at LSTC, where I was told by some representatives of the school that I wouldn’t be allowed to room with Lutheran students. Why? Because a year or two earlier a Meadville student helped a gay Lutheran ministerial student come out of the closet and eventually convert to Unitarian Universalism. More than ten years later Lutherans are much more accepting of gay and lesbian ministers. Too bad they aren’t more accepting of Unitarian students. Oh, and full disclosure. I was baptized a Christian in a Lutheran church. I have fond memories of being raised in the Lutheran Church in America, which, according to Wikipedia, “was often considered the most liberal and ecumenical branch in American Lutheranism.” I guess that’s where I get my obviously misguided notion that an Evangelical Lutheran Church in America seminary would be a little more liberal and ecumenical in their admissions policy.